The Re-Kånken Mini is made entirely from polyester recycled from plastic bottles and dyed with SpinDye technology that radically reduces the amount of water, energy, and chemicals used. 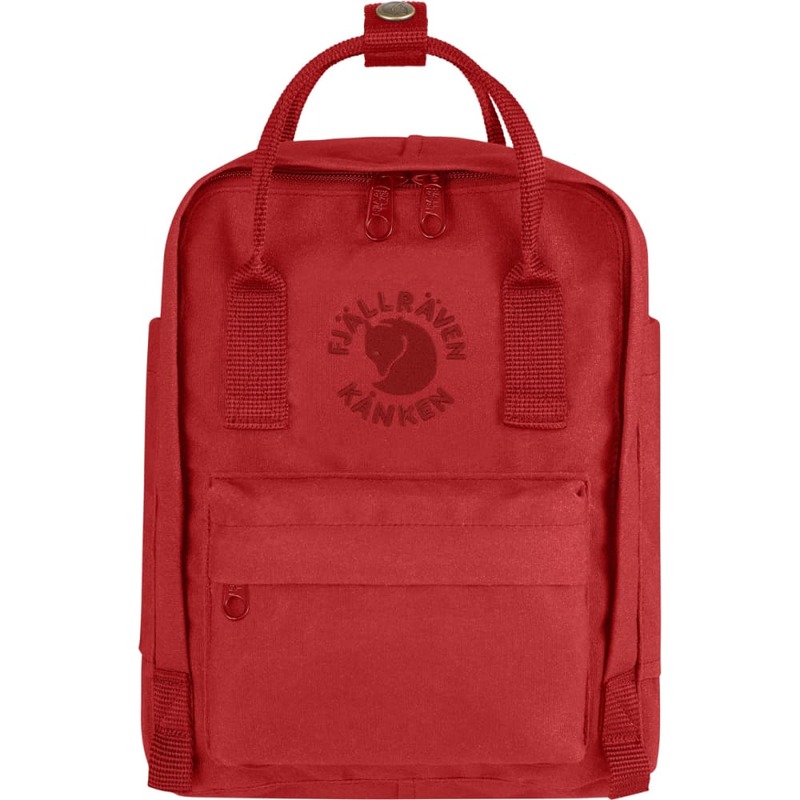 Re-Kånken Mini is suitable for smaller children and even adults who want to have a small backpack. It is perfect for a change of clothes for kindergarten, a packed lunch for an outing – or as an everyday bag for a wallet, water bottle, snack, etc. The shoulder straps are long and adjustable so they fit both little and big backs. They can be fastened with a button so they are not in the way when they are in their shortest position. The main compartment has a large zippered opening that makes it easy to pack and unpack. It comes with a foam seat pad in the inside back pocket that keeps the contents pressing against the back. There are also two flat side pockets and a zippered pocket on the front. Details include an embroidered logo and address tag inside the main compartment.